There has been manor on this site since Saxon times. However, it was not until after the Norman Conquest that the first stone castle was constructed here on two islands in the River Len. That construction was begun in 1119 by Robert de Crèvecoeur whose family had been deeded the property by William the Conqueror. The castle's fortifications were tested and found wanting after the death of Henry I. His daughter, Matilda, claimed the throne but so did Henry's nephew, Stephen. Years of civil war ensued. The Earl of Gloucester, who held Leeds Castle, supported Matilda's claim. Consequently, Stephen besieged (and took) the castle in 1139. Stephen, however, did not keep the castle for himself. Indeed, it was not until 1278 that it returned to royal ownership when Queen Eleanor of Castile, consort of Edward I, purchased Leeds Castle. This began a tradition that would continue over the centuries of the castle being associated with the wife of the king. During Eleanor's ownership, the castle's defenses were considerably improved. The keep was developed and came to be referred to as the “Gloriette.” The lake in which the castle sits was created by damming the River Len. When Eleanor died, Edward added the chapel in her honor. The king did, however, move on with his life and he took Leeds Castle with him. He used the castle for his honeymoon with his second wife, Margret, and subsequently gave the castle to her. After Margret's death, Eleanor's son, Edward II inherited the castle. He granted the castle to his Lord Steward of the Household, Bartholomew de Badlesmere. But Edward and Bartholomew soon fell out. As a result, when Edward's queen, Isabella, sought shelter in the castle during a journey through Kent, Bartholomew's wife feared that it was a trick to regain the castle. She not only refused to grant Isabella admittance but had her archers fire on the royal party killing six. ﻿Above: The Gloriette, the castle's original keep, was built on its own island. Outraged by this insult, Edward laid siege to the castle. Despite the improvements that had been made to the defenses, the castle was once again taken. The ungrateful Bartholomew was beheaded and his wife imprisoned. The castle was given to Isabella. 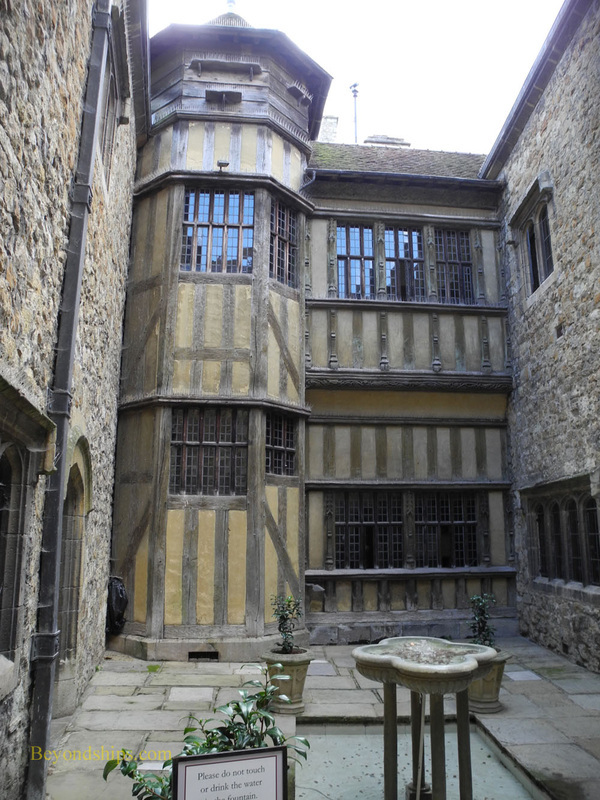 Following what had now become a tradition, Richard II gave the castle to his wife. During Richard's reign Leeds Castle was often the seat of the court. Henry IV gave the castle to his second wife, Joan of Navarre. 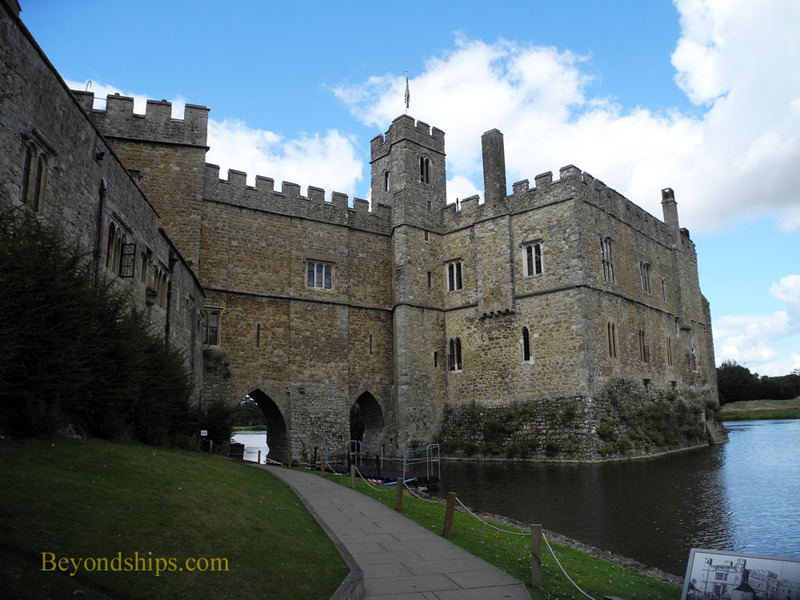 She quarreled with her stepson Henry V and was for a time imprisoned at Leeds Castle. 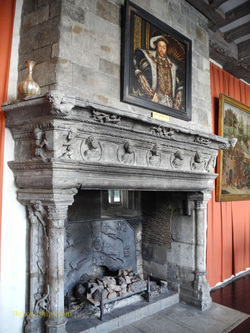 Henry VIII's portrait over the fireplace. Henry V bequeathed the castle to his wife Catherine de Valois. While at Leeds, the widowed queen fell in love with her Clerk of the Wardrobe, Owen Tudor, and they were secretly married. Her grandson, Henry Tudor, became the first Tudor king, Henry VII. The second Tudor monarch, Henry VIII, transformed the castle from a fortress to a small palace. In keeping with tradition, it was principally for the use of Henry's first wife, Catherine of Aragon. However, Henry did drop by with some 5,000 friends on his way to meet with the King of France in 1520. The subsequent meeting at “The Field of the Cloth of Gold” is depicted in a painting that hangs in the castle. 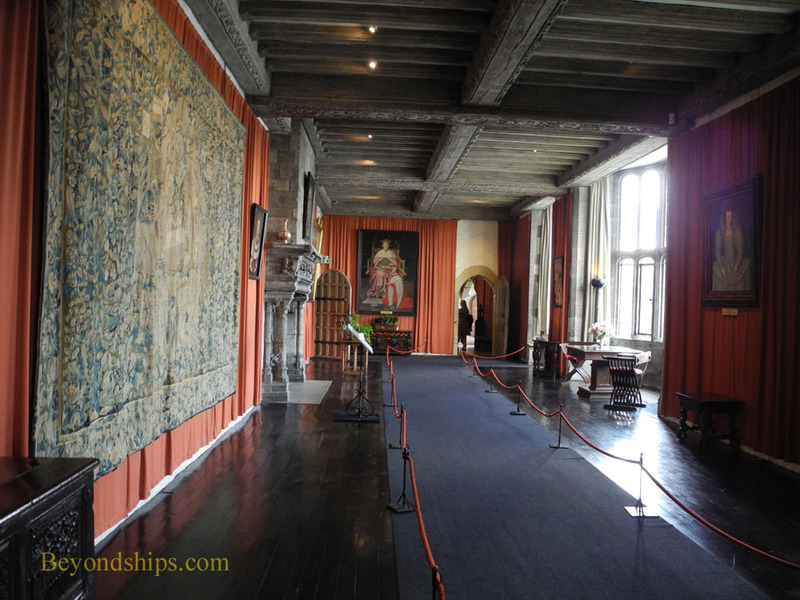 Leeds Castle passed out of royal ownership in 1552 during the reign of Henry's son Edward VI. However, his half-sister Elizabeth (later Elizabeth I) did reside at the castle for a short time as a prisoner during Mary I's reign. 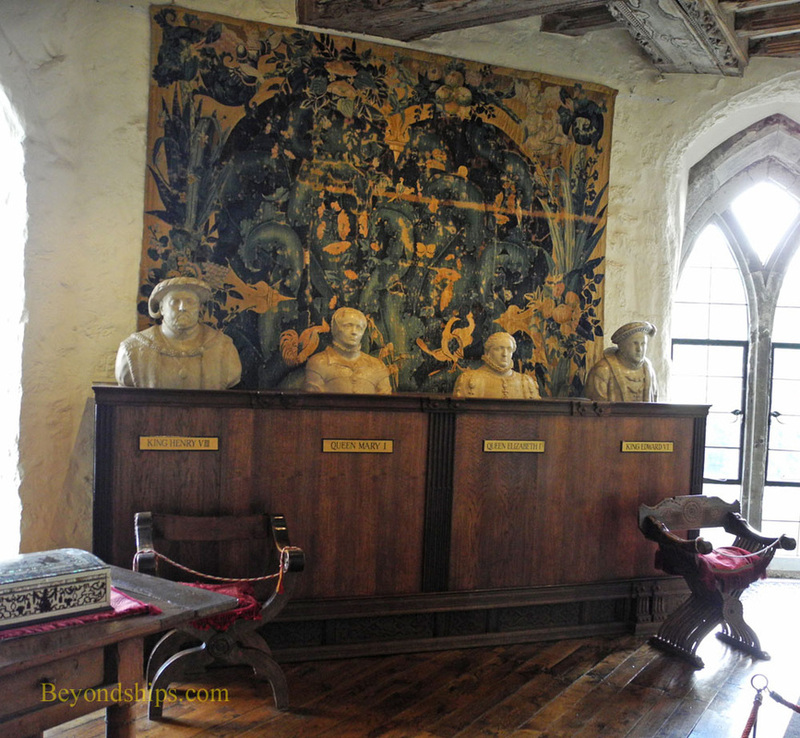 ﻿Above: Busts of Henry VIII and his three children, all of whom were monarchs. Lady Baillie and her daughters. In 1925, the property was sold to pay death duties. It was purchased by the Hon. Olive Paget (later Lady Baillie), daughter of Lord Queensborough and the American heiress Pauline Whitney. Using her considerable fortune, Lady Baillie set to work revitalizing and modernizing the interior of the castle, which had been allowed to deteriorate. Soon, Leeds Castle became known for its vibrant parties and gatherings of royalty, statesmen, movie stars and celebrities. The grounds were re-done as well and populated with zebras and other exotic animals. During World War II, Lady Baillie turned the castle into a hospital for soldiers wounded in the fighting. Secret weapons research and testing was also conducted on the estate. Lady Baillie bequeathed the estate to the Leeds Castle Foundation, a private charitable trust, whose mission is to preserve the castle for the benefit of the public. 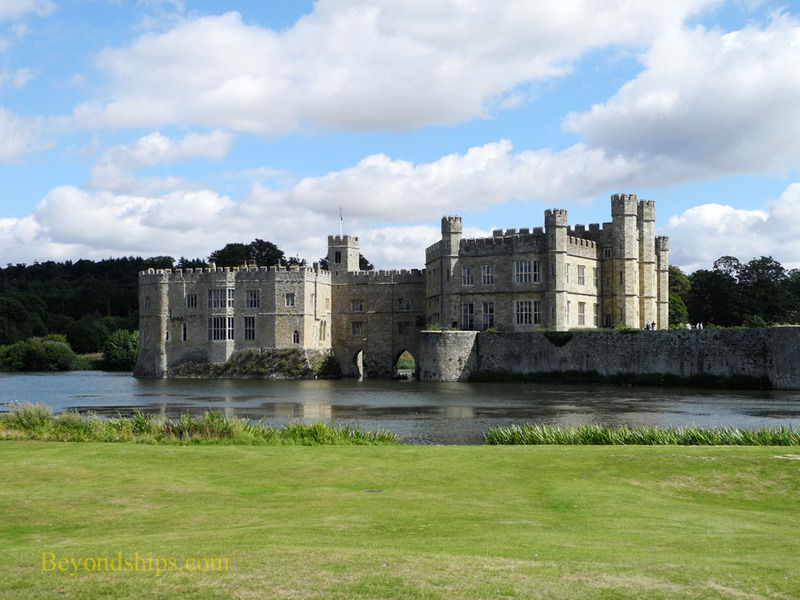 The Foundation opened Leeds Castle to the public in 1976 and operates it to this day. 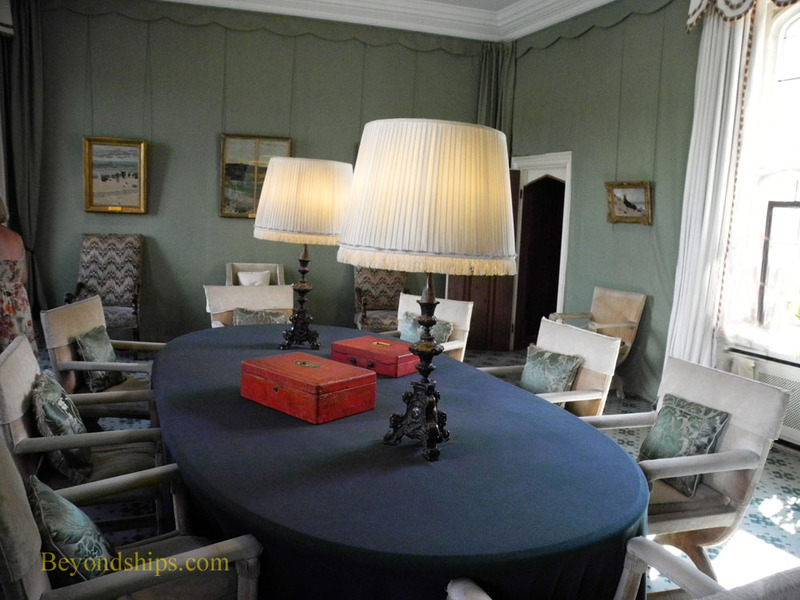 Still, Leeds Castle has continued to play a part in world affairs. In 1978, the Castle was the site of meetings between the American Secretary of State and the foreign ministers of Egypt and Israel leading to the Camp David Accords. It was also used in 2004 for Northern Ireland peace talks.